Formed in the Appalachian foothills of Athens, Ohio in 2011, The D-Rays draw from a wide number of garage/surf/punk influences to deliver their own brand of stripped down, dirty, original instrumental rock. No Walk Don’t Run, Wipeout or Miserlou here, this is something different. 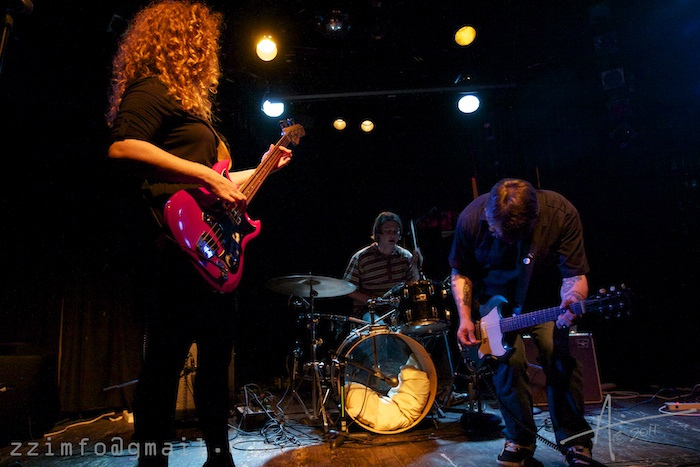 Driven by bass player Missy Pence and drummer Maceo Gabbard, The D-Rays’ live show reflects the short attention span of guitarist Erick Coleman. Onstage, the band gets right down to business- their set features original tunes that rarely break the two minute mark. The result is a fast moving show centered around a powerhouse rhythm section and reverb-soaked guitar. The D-Rays waste no time ripping through a tight, energetic set with tunes that will bounce around in your head days after.